Foundation 1 is an approved installer of the PierTech™ line of helical piers. This patented product line includes a number of features which provide for high quality, but also more rapid installation, driving down costs compared to other helical pier lines in the market. Helical piering gives Foundation 1 an opportunity to drive piers without having to use the weight of the structure they will support (as is the case with push piers.) Helical piers are ideal for new home construction and pre-piering homes. Given a large percentage of homes in Kansas City ultimately have foundation issues, peiring new homes is a significant “value add” to the homeowner. 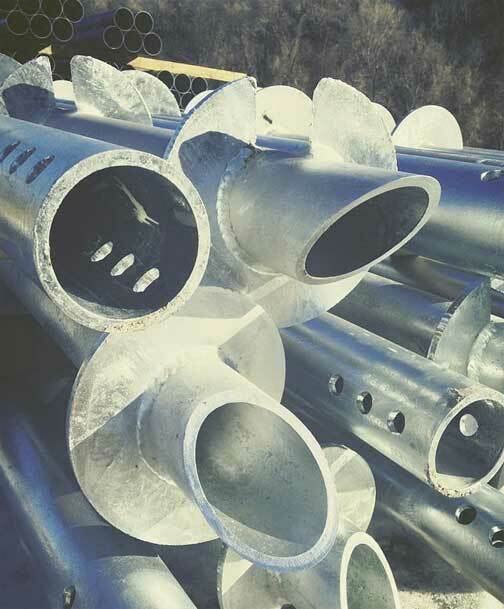 Additionally, helical piers are an ideal alternative for supporting decks and other lighter structures, which may require stabilization and protection from settling / sinking, but are not heavy enough to drive push piers. There are also a number of industrial / commercial applications for helical piers, including warehousing, equipment pads, tower stabilization, light pole, solar equipment foundations, and multi-story construction. See our page on commercial solutions. Learn more about PierTech products at www.PierTech.com. Contact Foundation 1 today for a free evaluation of your project – residential, industrial, or commercial.